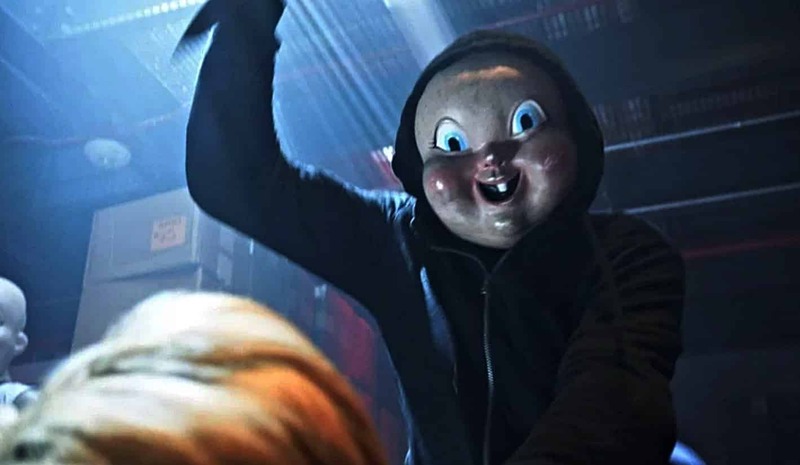 Happy Death Day was a surprise horror hit of recent years. Directed by Christopher Landon, this film was Groundhog Day with more terrifying consequences. It revolves around Tree, a young girl who is murdered by someone in a baby-face mask and finds herself in a time-loop as she tries to figure out who is killing her. With an intriguing premise and an execution that has a lot more fun with its frights, Happy Death Day earned an audience big enough to warrant a sequel – so aptly named Happy Death Day 2 U.
Christopher Landon takes the role as both writer and director again as all the actors from the previous film take-up their characters, led by the immutable Jessica Rothe. The film starts with Carter’s roommate Ryan finding himself in a similar time-loop, caused by his very own science experiment. Through a series of unexpected events, she finds herself sent back to the time-loop of the original movie, only, as it’s a sequel, there’s a twist on the story. Happy Death Day 2 U starts off surreally then lands itself directly back into the same (ish) story as before. It’s a little bit more outlandish than the movie that came beforehand (if you can believe that.) The movie is entertaining when you get past the sketchy science and the ridiculous plot-line. As always, the death scenes are top. Like the previous film, there is an montage of ingenuity that brilliantly tops (ha ha) the previous movie. A good sequel knows what they want to give and Happy Death Day 2 U happily pirouettes in inventive death, much like the Final Destination series. What the sequel does is give the characters a little bit more heart. How Jessica Rothe isn’t a bigger star than she is I don’t know, but as Tree, Rothe really encompasses the character. The movie has an edge of emotion – especially with Tree further examining the impact of her mothers’ death. Sadly, that does seem to be at the cost of other worthwhile characters such as Carter who went from charming slacker hero to relegated love interest. Though, saying that, Tree doesn’t really need a love interest and Rothe more than holds her own within this movie. Happy Death Day 2 U is more of a comedy than a horror – the film does little in scares and doesn’t really need to. It may not be as slick plot-wise, but it certainly is a lot of fun.